Short videos are one of the best ways for you to promote your startup to investors and clients. Firstly, they’re short, which is important for our 5-second goldfish-like attention spans. Second, they’re video clips combining audio, images, and embedded text which means you can get more info across in less time in a very easy and comprehensive way. YouTube has plenty of CEOs pitching their idea and business proposition in under 2 minutes. Check them out for inspiration. There’s also plenty of TED-talk type videos with ideas worth spreading. There are even more blogs on “how to” and “top ten tips” for video pitching your startup idea. But which video pitch style and type is best for your startup? In this blog we’ll give a non-standard guide to help you decide, and we’ll also give away some obvious and some not so obvious hints and tips. 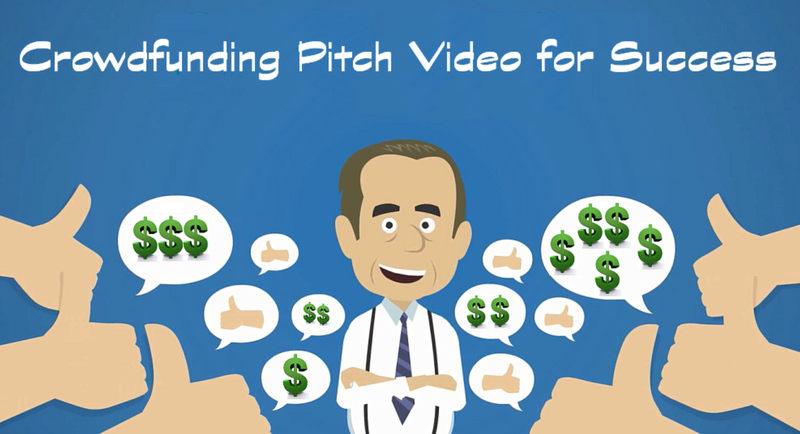 There are 4 main types of video pitches: 1) Investor pitch, 2) Customer pitch, 3) Product pitch, 4) Competition pitch. Investor pitches need to be short and open and close with a bang. Start by introducing yourself and your business very briefly, bringing upfront the problem that you want to solve. Say how you’re the solution to that problem. Address the market opportunity, the competition and how you’ll win and remember to include any previous traction and the credibility of your team. Say why you need investment and how you’ll spend the money and give investors a return. Be direct. If you don’t ask, you won’t get. End with a call to action. Customer pitches unlike the above should include some graphics and should focus on how your product or service can add value to a consumer’s life. Hence, less face time in the video, and more product/service description time. Get yourself some video editing support online such as fiverr.com or just ask a friend or learn your way around a simple video editor such as iMovie. Similar rules apply here as usually customer pitches are used in reward based crowdfunding campaigns where you treat the audience as both consumers but also as “backers” who fund your project. The main difference is that you need to focus on the product and ensure that the potential customer leaves feeling like they need your product. Product pitch has even less face time, if none at all. If you’re a gadget type startup, then you really need to understand your market and brand your product accordingly. This should be strongly reflected in your video pitch. Show some people using your gadget or talking about it. Validate your product. If you’re a service startup like an app, focus on user experience and show app functionality and how great it looks. Include some infographics and some testimonials. Competition video pitches are a popular way for corporations and consortiums to either create engaged traffic for themselves, advertise their services, or to scavenge for new and exciting startup ventures to partner with. It’s a free market and all are welcome if it can help your startup grow. They usually will have strict time constraints and ask you to combine features from all 3 pitching types above. Something quite difficult given the strict time constraints! So our suggestion to you is to be relaxed about it. Be yourself, professional, and original rather than following guides like this one (and many, many more) to the last letter. As such, we can’t give more advice on “how to”. Whoops! We can however say that judges are usually looking for disruptive ideas, amazing personalities, and viable business plans. Aim to tick these boxes. This entry was posted on November 30, 2015 by lidia.de in Entrepreneurs, hacks, Marketing, tips.